Krabi is considered to be the second most visited destination in Thailand. The province offers stunning sceneries, white sandy beaches and busy streets of Ao Nang and Krabi Town. 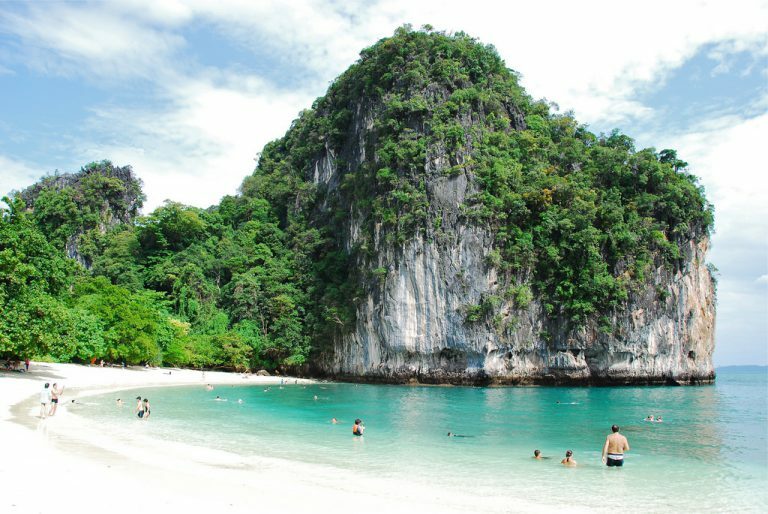 Krabi is most popular for its limestone karsts similar to the ones in Khao Sok National Park and Phang Nga Bay. The location of the province is very convenient allowing access to both islands of Ao Nang and Phang Nga. Most popular activities in Krabi include rock climbing and extreme mountain adventures, boat tours, jungle tours and fascinating hot springs, waterfalls and Emerald natural pools. Railay Beach located in Krabi is one of the most popular climbing destination in South East Asia attracting hundreds of rock climbers to the province each year. Krabi is a home to two one of a kind activities. 1. The most famous cooking school in Thailand with a world known chef “Ya” Laothong who introduced Gordon Ramsey too and seafood curry and dipping sauce. 2. Hollow Mountain Adventure Park - the number one extreme adventure park in Asia with its 90 meters long Via Ferratas (vertical staircases) and 40 meters high rope swings. Discover the superb islands of Hong in the National Marine Park, just 20 minutes away from Ao Nang. This ATV ride will give you an amazing experience of driving through the Thai mangrove not far from the Saithai limestone Mountain. ATV Ride Your activity will start with an hour ATV ride through the Thai jungle. The trails are designed to keep you excited and challenged. The hot spring waterfall is located about 50 kilometres from Ao Nang, but is still considered one of the must-see locations of Krabi. Enjoy a longer ATV ride with our 2 hours ATV ride package. During two hours, you will ride the ATV through Saithai limestone mountain area. Prepare your lunch with Ya in her cooking school in Krabi, where Gordon Ramsay learned to cook seafood dipping sauce and fish curry! During the 3. This is a 40-minute experience of riding a quad bike through the Thai jungle next to the Saithai limestone Mountain with a tour guide.